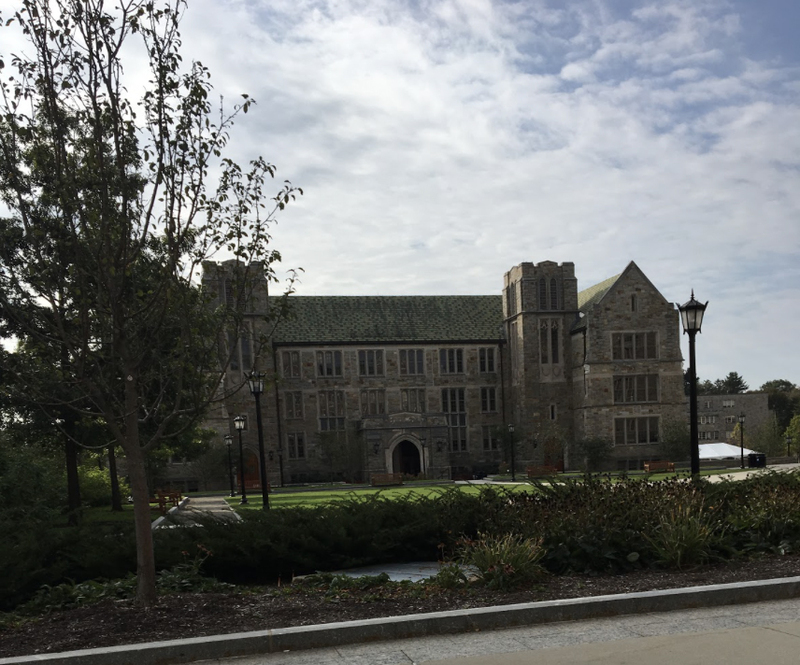 Boston College (MA) is a beautiful campus, with old buildings and beautiful architecture. The campus exudes a friendly environment and in a residential area. I really liked this college and the feel of the campus. There is easy access to the city despite it being in a more secluded area. This is a Jesuit institution with biblical references and figures, and beautiful statues of angels throughout the campus. It’s that time of year again when it’s the hardest part of a senior’s life. Making the decision and finding the right college could be the key to future success and the rest of their lives. College application deadlines are looming over them like a dark cloud of extra stress that never seems to clear up. Question are frequently asked such as, “Why did I wait so long to fill this application out,” or “How do I know which college is the best fit for me?” This can be a scary and stress-filled time but don’t pull all your hair out just yet, because there are a few tips and tricks you can use to make the college application process smoother and easier. For all juniors out there, get a head start on your college search the summer before your senior year. This will make the application process so much easier. This will allow you more time to actually work on applications instead of trying to figure out which colleges to apply to. By having an idea of where you want to go, you will save yourself some time and stress during your already busy senior year. The Common Application has been a lifesaver for me during the college application process. The common application allows you to fill out one application that can be sent to several different schools. This way you only have to complete your personal information one time instead of several times for each application. You will also only have to write one personal statement. However, don’t forget the writing portion. Be aware that you still need to finish the writing supplements separately for each college. If the university requires it, you will have to write separate essays for that specific school. Don’t worry though. Most of these essays can still be found and written in the common application. You never have to leave the site. This can make all the difference. You may really like the idea of a college and have your heart set on going there, but what happens if you end up hating where you are. Taking that college visit can help you see if you actually like the location and the environment of the school. You will be able to determine if you could actually live there before you make the commitment and are stuck for a year. This helped me see if I could actually leave Hawaii. Having lived in Hawaii all my life moving to the east coast would be a huge change. Taking the trip out there to see some school helped me see which locations I liked more than others and where I would feel comfortable being. Ask for letters of recommendation sooner than later. Letter of recommendation are a critical part of the college applications. Almost every school without a doubt will require at least one letter of recommendation. Be sure to ask your teachers well before the deadline to ensure you can turn everything in on time. A good rule to follow is to give teachers at least two weeks to write your recommendation. Also, don’t forget a resume. A resume with all of your activities and volunteer work will give your teachers more to write about than just your grades. It will supply them with material to write about and make your letter of recommendation special. At our school, we have Malia Kau and Luz Guerrero ready to help you with all of your college needs. This is a great resource to have all of your college questions answered. You can complete your application here as well, so if you have concerns they will be on hand to help you. Radford also hosts college visits. If you are interested in colleges visiting the school, you can hear their presentations. Seniors live here during college application times, so be sure to stop by if you need any help.